If your mornings look anything like ours, you’re lucky to have time to throw your hair in a bun before heading out the door. And while waking up early to tackle our messy mane is an option, we’d rather forgo losing sleep and opt instead for a timesaving hair hack. Just what is this hack that we speak of? Why, gold hair accessories, of course. 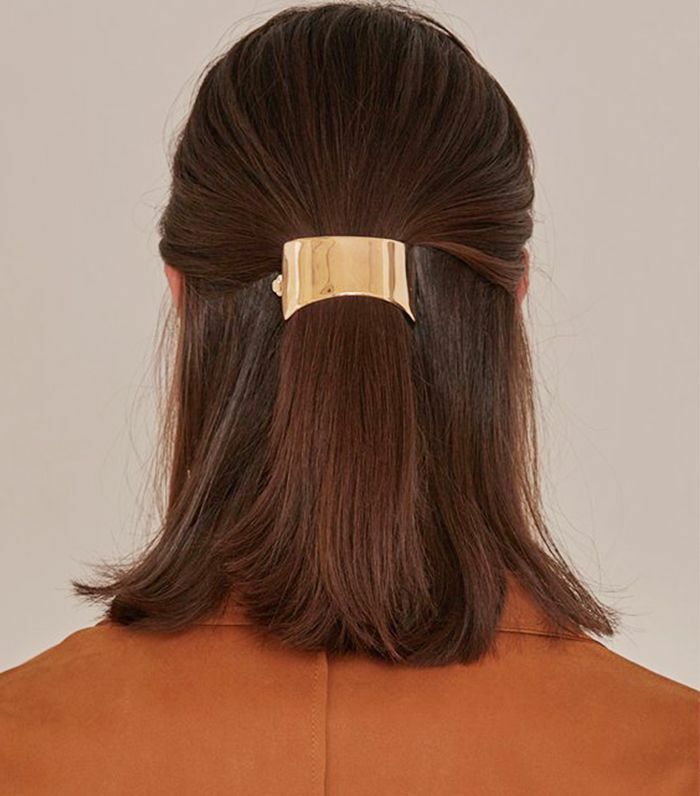 Hair accessories, specifically ones that happen to be shiny and gold, have the ability to elevate just about any hairstyle, no matter how greasy or full of dry shampoo. Take, for instance, three-day-old hair twisted into a low bun, which is likely to look like, well, three-day-old hair. However, if you take that same ’do and add a gold hairpin to the mix, it no longer looks like a messy bun, but rather a perfectly polished updo. Don’t believe us? Try it for yourself. For the transformative gold hair accessories that we rely on time and time again, click through the gallery below. 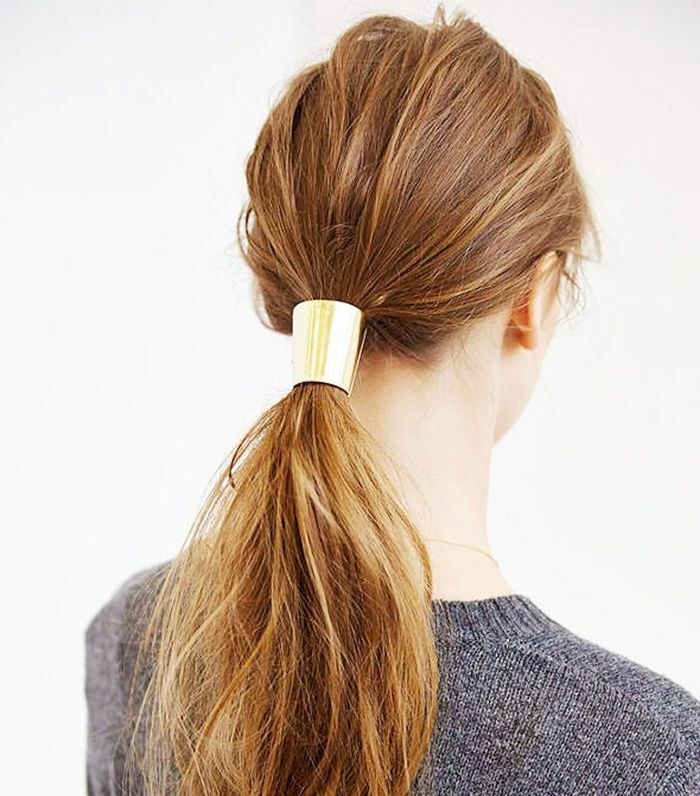 Fasten a messy pony with a metallic hair tie for an office-appropriate hairstyle. 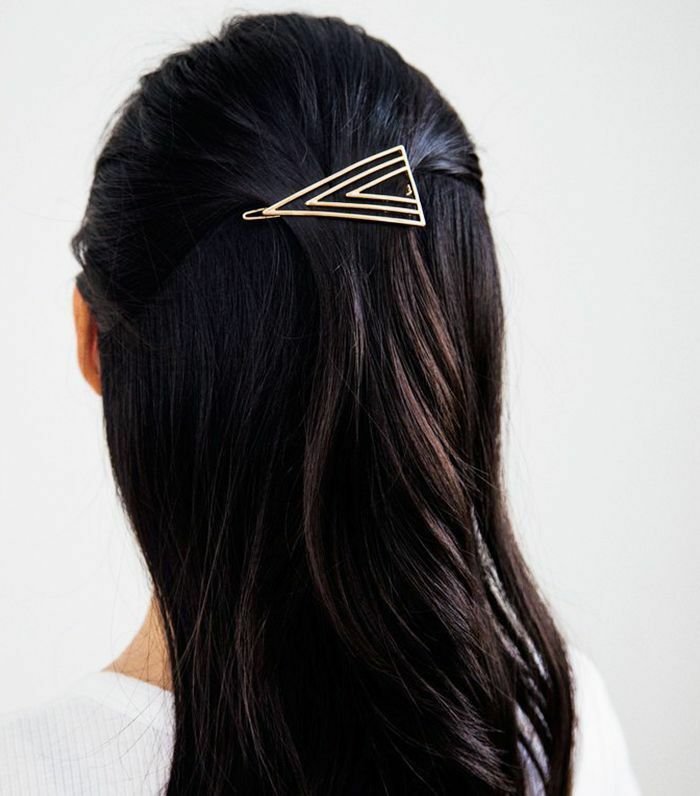 Elevate a half-up, half-down hairstyle with a minimalistic gold barrette. 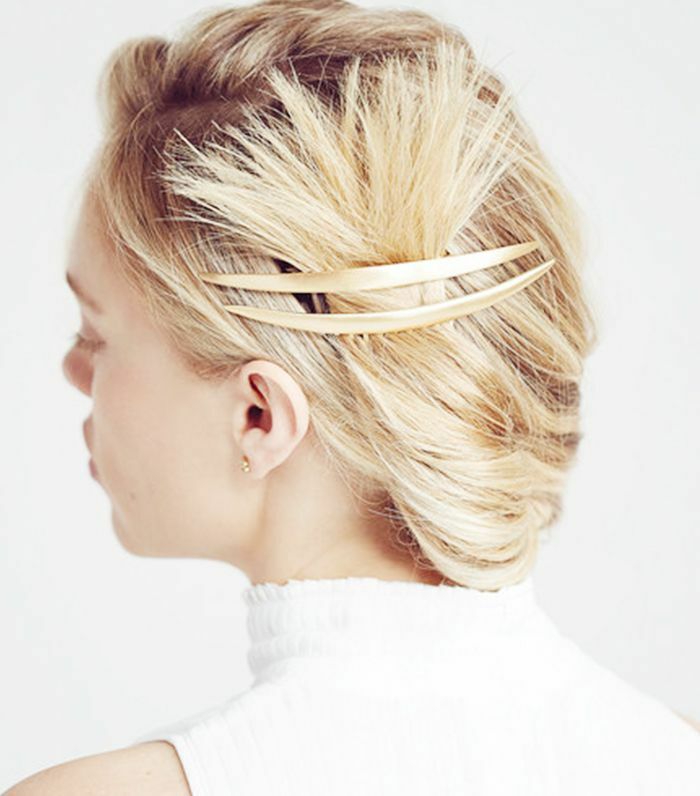 Swap out your tried-and-true bobby pins for an antique gold hair clip, like the one above. 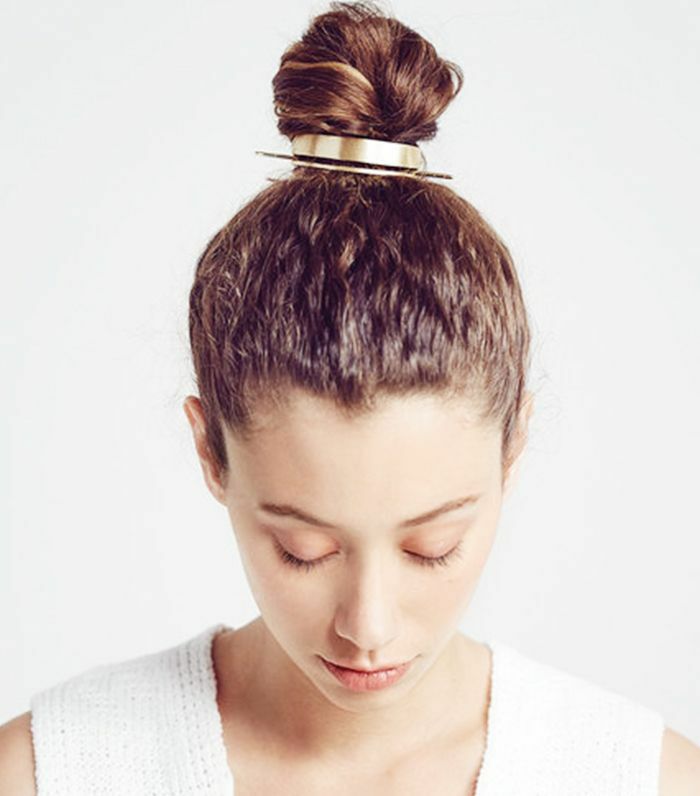 Elevate a messy bun with a minimalistic gold cuff. Sweep back your tresses with a chic haircomb. 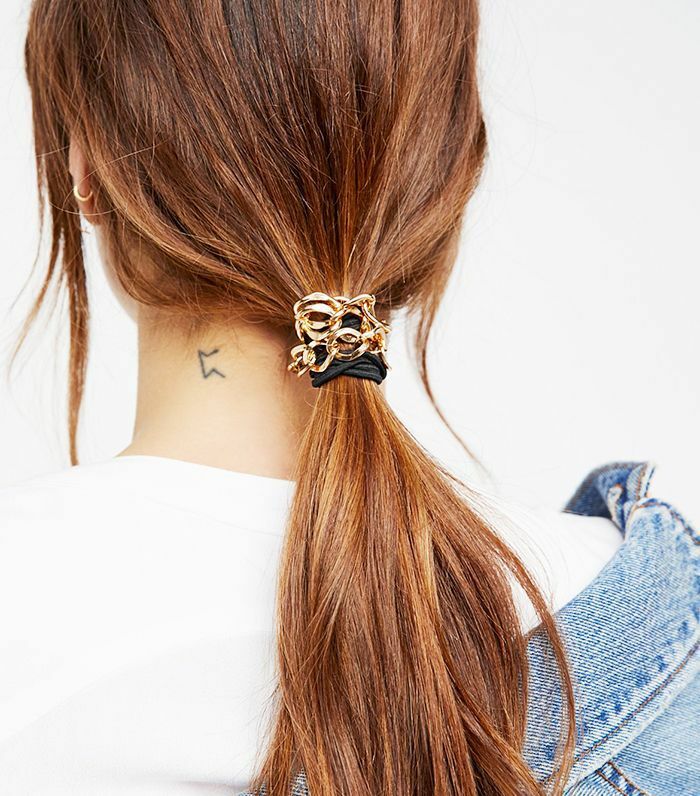 Accessorize a low pony with this on-trend chain hair tie. 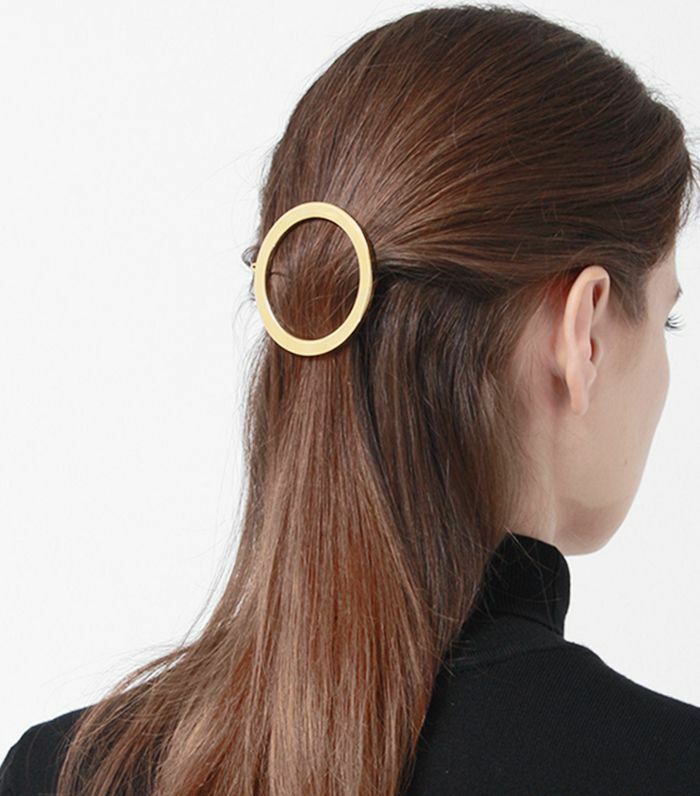 It doesn't get chicer than a gold hairpin–and–low bun combo. 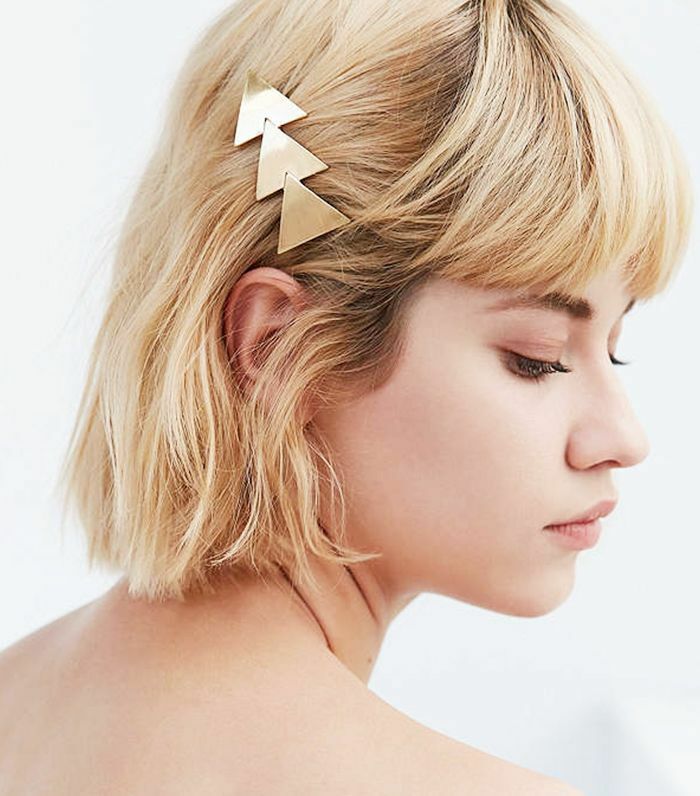 Sophisticated and simple, this gold hair clip is perfect for the office. Have some fun with you 'do and add a geometric clip to the mix. Next up: 13 must-copy hairstyles for girls with really long hair.